Becoming a bar/bat mitzvah is a momentous spiritual milestone not only for the child, but for the entire family. As a bar/bat mitzvah stands at the threshold of young adulthood, his/her parent(s) prepare to pass down the Torah (teachings) of Jewish living, learning and values; and s/he prepares to grasp this Torah for him/herself. As students prepare for their b’nai mitzvah, parents are encouraged to spend some time considering which values, traditions, customs, and beliefs they wish to pass along to their children, and to find ways to communicate this Torah to their children. By studying the weekly Torah portion with their children. By celebrating Shabbat and holidays – including lighting candles and saying Kiddush (blessing for wine) and Motzi (blessing over bread). Lead a family discussion of the weekly portion by using tips from the Union for Reform Judaism. Attending worship services together as a family. Consider, especially, attending Shabbat Hallelu or Simchat Shabbat services together. Engaging in acts of tikkun olam (repair of the world) as a family. Discussing with your children what being Jewish or being part of a Jewish family means to you. To help students foster a connection with Judaism and prepare for bar/bat mitzvah, we expect students and parents to regularly attend both Religious School and synagogue services. By attending services, students and their families become comfortable with prayers and rituals and gain familiarity with worship at Temple Emanu-El. Parents are expected to attend these services with their children. Additionally, during the sixth grade, parents and students together attend a pre-b’nai mitzvah family education program. Student preparation will include individual meetings with the Cantors to learn to read Torah and Haftarah, as well as prayer and blessing review meetings with our Prayer Coordinator. Parents will be contacted by the Cantor’s office approximately six months prior to the date of bar/bat mitzvah to arrange the schedule of these individual meetings and lessons. More information about becoming a bar/bat mitzvah can be found in the Madrich – click here. 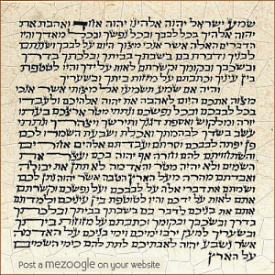 For audio of the B’nai Mitzvah Prayers & Blessings, click here.